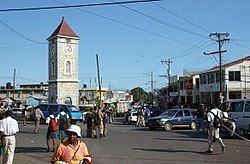 Clarendon (capital May Pen) is a parish in Jamaica. It is located on the south of the island, roughly halfway between the island's eastern and western ends. Located in the county of Middlesex, it is bordered by Manchester on the west, Saint Catherine in the east, and in the north by Saint Ann. Clarendon was named in honour of the Lord Chancellor Sir Edward Hyde, Earl of Clarendon. The most recent parish was formed from a combination of three parishes: St. Dorothy's, Vere and the old parish of Clarendon. Before the merger, the capital was Chapelton. Clarendon Parish was one of the original seven Anglican parishes of Jamaica set up by Sir Thomas Modyford in 1664, and it has been reorganized numerous times since. Parish registers, which are records kept by the parish church of religious events such as baptisms, marriages, and burials, are still extant from Clarendon parish almost as far back as its foundation, with the first recorded baptism dated in 1666. Covering an area of 1,196 km², Clarendon ranks as Jamaica's third largest parish. The parish is predominantly a wide plain, marked by several rivers, including the Rio Minho River, which runs the length of the parish. Toward the northern end of the parish lies the Mocho Mountain, (2000 ft), and Bull Head Mountain range (2800 ft), which is considered to be the geographical centre of the island. The Vere plain is another significant geographical feature. Portland Point, the southernmost point of Jamaica, is on a peninsula in Clarendon which also hosts Portland Point Lighthouse. On the same peninsula are Jackson Bay beach, the flood-prone community of Portland Cottage, and two different locations both called Rocky Point: a residential community on the western side of the peninsula, and a port used primarily for the export of alumina on the eastern side of the peninsula. With a population at an estimated 246,322, Clarendon is one of the most populous parishes in the island. May Pen, the capital, has a population estimated at around 60,000. Bauxite, Jamaica's major mineral source, can be found extensively in Clarendon. Bauxite mining has been established in the parish by JAMALCO and ALCOA. Most of the island's tobacco is also grown in Clarendon, along with cotton, allspice (colloquially referred to as pimento), ginger, livestock, indigo, bananas, coffee, and cocoa. May Pen is also an important citrus packing centre, famous for 'Trout Hall' oranges. Additionally, dairy farming, fish farming, and copper mining have been carried on intermittently, and the sugar-cane production contributes significantly to the amount of sugar exported annually. The Denbigh agricultural showground is on the outskirts of May Pen. One of the top ten credit unions in Jamaica, GSB Co-operative Credit Union has a branch here. Clarendon is the location of the Milk River Bath, a mineral spa famous for the therapeutic value of its waters. The oldest church on the island is in Alley, the old capital of Vere. Halse Hall Great House is one of the island's historic houses. The land on which the house stands was given to an English officer, Major Thomas Halse, in 1655, and was passed from him to Francis Sadler Halse. Halse played a leading role in the Maroon Wars. The Denbigh Agricultural Show Grounds – once a year, on the weekend prior to Independence celebrations, a national Agriculture Show is staged here. Vernamfield was the first car-racing track established in Jamaica. The track is located on the former American lend lease air base, Vernam Field (later Vernam Air Force Base) that was named in honor of World War I flyer Remington de B. Vernam. Vernam Field is known for drag racing. The Woodleigh racetrack outside of May Pen is known for dirtbike racing. 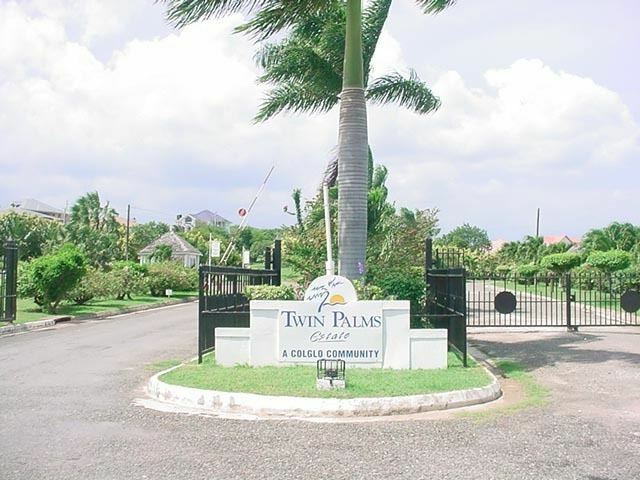 It is the home of the New Yarmouth, Sevens Estate and Moneymusk Sugar factories. Birthplace of singer Liz Mitchell of Boney M. fame. Birthplace of singer Millie who had a hit in 1964 with My Boy Lollipop. Birthplace of writer Claude McKay, who was part of the Harlem Renaissance. The high school at his birthplace, James Hill, is named in his honour. Birthplace of singer Toots Hibbert of Toots & The Maytals fame. The Earl of Carlisle, a governor of Jamaica from 1678–1680. Birthplace of Fr. Raphael Morgan (Robert Josias Morgan), missionary and first Black Orthodox priest in America.